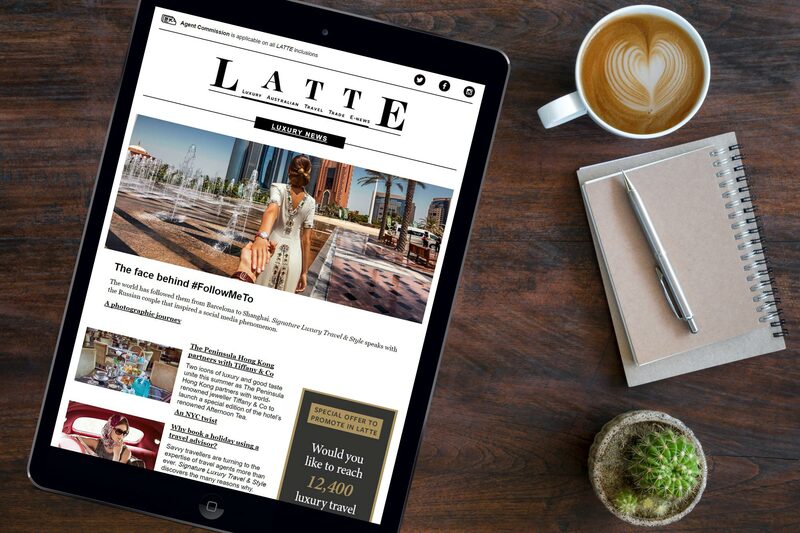 Windstar Cruises has unveiled its 2019 and 2020 Caribbean and Latin America sailings including new visits to ports in Mexico, Honduras, Grand Cayman, the Dominican Republic and Jamaica. Cruisers seeking active adventure may choose from 152 departure dates ranging in length from 7 to 56 days. All departures focus on less-visited tropical ports and unusual vacation experiences on board – with the line’s signature Open Bridge and Watersports Platform – to exciting wet landings by Zodiac and handcrafted excursions. aboard Wind Surf, the world’s largest sailing ship. The nearly two-month cruise is a new option for travellers ready for an encyclopedic exploration of the Caribbean’s Greater and Lesser Antilles and Latin America. The wide-ranging itinerary features a first-time-ever visit to the Panama Canal for Wind Surf, where the ship will bring guests on a remarkable journey through the three-tiered Gatun Locks and the historic Atlantic connector locks, followed by scenic cruising on Gatun Lake, then back to the Caribbean through the Gatun Locks that afternoon. Perfect for destination collectors, the journey offers incredible seafaring depth calling on 38 ports and 27 countries in just 56 days. ordinary,” said Windstar President John Delaney. Bequia and Mayreau in the Grenadines, and lush Bahia Herradura, Costa Rica. understanding of their ports of call,” commented Delaney. 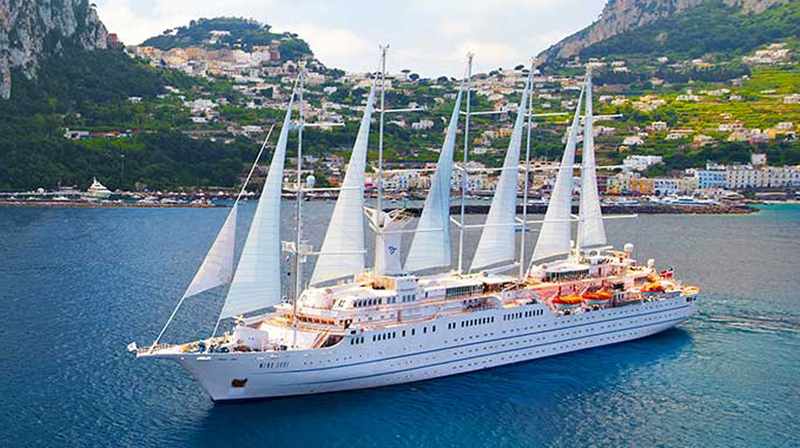 Why sail Windstar to the Caribbean & Latin America? pan at sea, followed by an enthusiastic deck dance party led by the multi-talented Windstar crew. culinary exploration can’t be beaten. beaches frequented by the rich and famous, with lunch enjoyed at a chic island restaurant. handcrafted excursions, additional savings and added value with complimentary daily laundry service. Star Collector: Grand Caribbean Adventure (56 days, 38 ports, 27 countries) – 4 January, 2020. A highlight for cruise and sailing enthusiasts will be the chance to pass through the century-old Gatun Locks on the way to a day of sailing Gatun Lake, with a visit to the Gatun Lake Yacht Club before returning to the Caribbean for more adventure. The ship will be first raised and later lowered approximately 26 metres as it passes through the triple flight of the mighty Gatun Locks, made up of three chambers that connect the Atlantic to large Gatun Lake, south of Colón. Wind Surf will sail 33 kilometres of open water across the Isthmus of Panama. Rates start at US$11,924 per person (based on double occupancy) and include complimentary daily laundry. cruise departs on 24 September 2019. Rates start at US$9,999 per person (based on double occupancy). New: 2 Cruises – Sail the Pacific Coast, Mexico & The Sea of Cortez (7 days). Cousteau. It is seven days of seafaring, snorkelling (with sea lions) and fishing that are unforgettable. Rates for the two new itineraries visiting Mexico’s Pacific Coast start at US$2,499 per person, double occupancy. 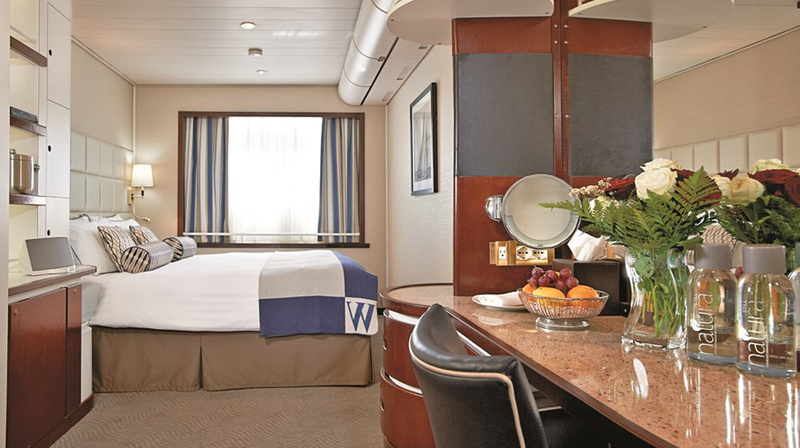 for the cruises below start at US$1,799 per person, double occupancy and vary by sail date and destination. Main and re-emergent must-see of South America. Panama Canal and the lush rainforest canopies of the region. breathtaking sites of Mayan history. crowds and beneath the sea including diving on pirate shipwrecks. the ocean. Visits to four colonial towns will indulge guests in a taste of yesteryear. colorful for guests immersing themselves in the parks, sites and culture of this itinerary.